Tomorrow sees the opening of Graffiti Cubed a new project from the guys behind Mutate Britain and featuring the work of CHU. 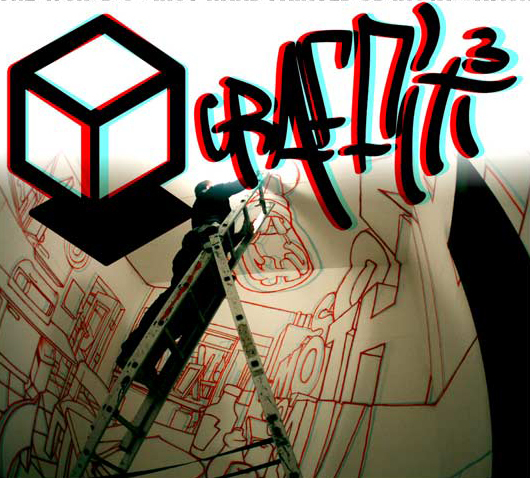 Tipped as the world's first 3D painting, Graffiti Cubed is a walk in one person experience. Shoes off, glasses on, step inside the 3rd dimension! (Glasses provided) Check out the trailer below. The cubed space will open tomorrow 28 October from 6.30pm and then every Saturday and Sunday 2pm — 7pm until Sunday 14 November.